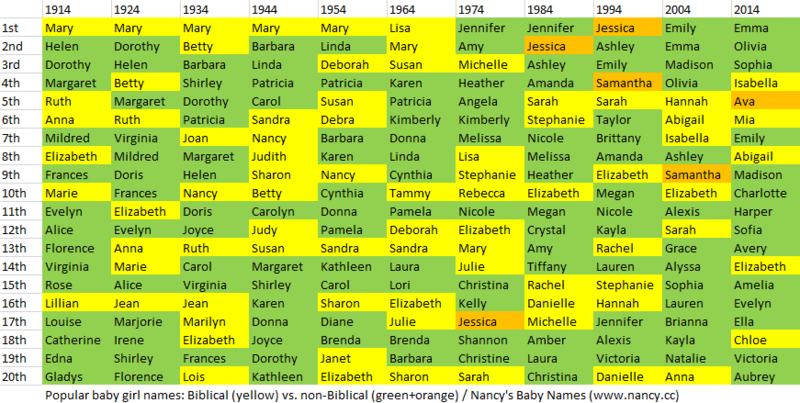 How popular is the baby name Autumn in the United States right now? How popular was it historically? Find out using the graph below! Plus, check out all the blog posts that mention the name Autumn. For this list I stuck to names that are also correctly spelled English words. This means that I skipped names that are non-English words (like Stella and Luna) and alternative spellings of words (like Brooke and Briar). I should also mention that several of the above (including Rowan, Robin, and Clementine) do have more than one etymology to choose from. Which nature name(s) do you like best? P.S. Nature names that didn’t quite make the top 50 included Stormy, Zinnia, Sandy, and Acacia.